Travel the world and enjoy the sights and sounds of two fabulous cities in this incredible set of games. Your first stop is the city by the bay in Big City Adventures - San Francisco, where the spirit of peace, love and happiness fills the air. Then, hop on over to the land down under with Big City Adventures - Sydney Australia, and discover the majesty of one of the world's most popular destinations. 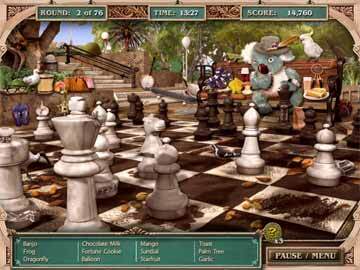 With both of these wonderful encounters, you'll enjoy over 100 scenes and hours of hidden object fun. Visit Alcatraz, the Golden Gate Bridge, the famous Sydney Opera House and much more as you search for thousands of items. Learn informative facts about the locations you visit, play fun mini-games, and collect postcards to remember your travels. It's two seek-and-find adventures around the world and you don't even have to leave your own house! These double packs have been always a winner as getting two games by the price of one has been always a good advertising trick. But this advertising pays off especially if you are offered two games which when released where very high ranked, making them very desirable. So what do we have in this Big City Adventures Double pack? Like said we have two games to choose from and why not choose them both? 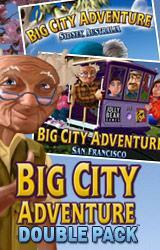 But let’s start with the first and the original release of the game, the Big City Adventures: San Francisco. When someone mentions this city I automatically think of two things. One of them is of course the world famous Golden Gate Bridge, but the other one is more of a personal nature, as it is based on a TV show filmed there which I personally can’t get enough. Because of that TV show, I can automatically recall about the sudden mist overflow across the city, and the lovely landscapes, but also the Cable Cars. And I almost forgot, there is Alcatraz too, maybe known to some people as The Rock. With just some of these delights that the game offers you, you know a great adventure is ahead waiting to be conquered. Generally there are 20 different places that you will visit in San Francisco, that are known more or less, and you will have to search them through completely. That search spreads through 120 levels, and every one of them is almost completely different from each other. 60 main levels in the game that need to be cleansed out of hidden items and 60 levels of mini-games put in between to break any possible case of monotony with three different types of mini-games to solve, like match 3 games, jigsaw games and memory games. Each hot spot is also described via a "postcard" that offers some interesting bits of info about its history. The game begins with your selection of a member of a family that will be traveling with and naming it of course. You can select from Mom, Dad, Brother, Sister, Grandma or Grandpa. When you start your search through different famous locations you will of course be looking for items, but depending on how you want the search to go, you will decide between two game modes, Timed and Relax mode. The state of these two modes can be changed anytime through the Options menu of the game. If you get caught in a lack of time to search for all the items left to find, you just select Relax mode, but that won’t happen if you are a regular player of HOGs as the difficulty is that great. Like previously mentioned there are mini-games put in between every level to distract you a bit, like an old memory game where you flip tiles over to match item pairs. In another, objects are visible but must be matched with exact replicas displayed below. Otherwise, you incur a penalty. You'll also find a match-three derivations. In each case, the goal is to break the tile by making correct matches. The last mini-game, a standard jigsaw puzzle, breaks up the tile madness. The most amazing thing about this game is certainly its very high level of graphical details. Besides the nicely done gameplay which certainly won’t let you down, but the level of details of every little thing about the game, like bus on the walls, tassels sway in the breeze, lights flicker, pigs fly and, well, you get the animated picture. The sound of the game also does its part with almost every sound in the game was heard in the right place and in the right time. For those who start the game play again, they won’t be bored for a second as almost every item in the game isn’t where it was when you played the last time. This brings up the games replay value a lot. Instead of the regular hint system the game introduces Bonus coins that you can use for multiple reasons. Some act as a means of uncovering concealed items, several add extra time to the clock and others simply increase your score. 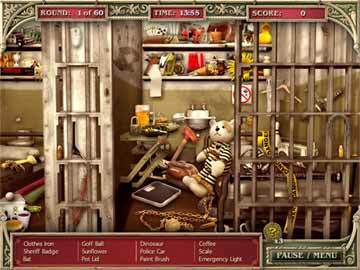 The game offers what almost every game in this genre does, a bonus for quick clicking and finding the items in a row. You can just quick click, but there is a penalty for that case if you miss-click too much, but the games tolerance for miss-clicks is very high. Also if you don’t use your Bonus coins they will be added to your complete score as bonus on the end of the level. 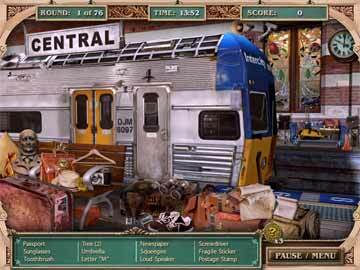 As for the next edition in the double pack and its inheritor Big City Adventures: Sydney, Australia. The new release is everything that the previous was, but only better. The game is now moved to Sydney and there you will discover the beauties of this town that not many people have the privilege to get to know. Discover well-known sites like Hyde Park, Sydney Opera House, Sydney Harbor Bridge, and Royal Botanical Gardens. Now there are 25 points in the game where you will collect postcards just like in the previous part, and they have the same roll. Those postcards can bring with themselves a great deal of helpful information about a place that you are about to visit, describing them. In the original part those postcards where very useful if you have photographic memory, as you weren’t able to look back for them in a gallery for example, but in this part that’s changed as you can now review those postcards anytime you want to. As for the game itself, thing didn’t change that much, as you still have the possibility of choosing between the Timed and Relax mode, and in the inventory there is a list of items you need to collect. But what is changed is the new mini-games that are added to the ones that were there before? So you don’t have three mini-games more, you have six of them. Match 3, Jigsaw puzzles and Memory are the old ones, but the new ones are the following: Everybody has heard at least for the game, Whack a Mole and probably played it. But here it’s not Whack a Mole, but more Whack a Crock. Instead of hitting moles, hit crocodiles on their noggin' to send the pies flying out of their mouths into a basket. In the Pelican/Turtle Challenge, 15 tiles display a pelican or turtle in different poses. You must find the tile that matches the selected image. Successful matches send a fish flying into a bucket. Like the Bop-a-Croc, you need to meet or exceed the target number to win the level and head for the next destination. This game holds still too many of the things that made its predecessor so famous, like the Bonus Coins that you can find or the points you can collect from finding items quickly. There is however a new coin that has its appearance here for the first time. The Skip coin is used to skip a mini-game at your will and choice. This option can be very welcome, especially if you are not feeling playing one of the mini-games. But frankly this coin can show its true potential in the later phase of the game. But like the previous part had that issue with the post card so does this one, but with the multiple clicking in a row. You can find an item and still it will be counted as a miss-click, or when you find an item you can’t start clicking right away, as the game must ‘finish’ the previous item, to be able to go to the next one. Basically everything else is the same, and still it isn’t. It won’t bore you to play this game over again, as there are some recognizable procedures in the gameplay, same as in the previous part; they are also different in the same time. The fact remains that the game still holds and justifies its early gotten good grades especially in the area of graphics and sound. The beautifully done details are just marvelous, but it’s a shame that the characters in the game didn’t feel the change in the way they look. Still the standard line up is there with Mom, Dad, Brother, Sister and Grandparents. These two packs will definitely give a run for your money as they definitely pay off of buying. If you are still not convinced, try out the demo and see for yourself, you definitely won’t be disappointed if you are a fan of the genre.